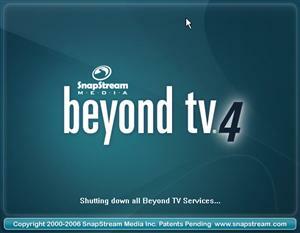 Up for review today we've got the latest version of Snapstream's BeyondTV 4.5. This is just the standalone version of their software, not the Studio version as well, so I'll strictly be working with TV recordings and what not. Right off the bat that's quite a different strategy than all their competitors, who bundle a full Media Center-like suite in one package. 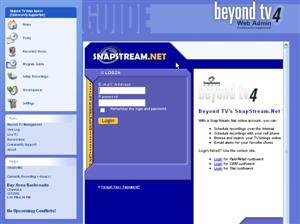 You have to give kudos to Snapstream for improving their cost structure: $69.99 for BeyondTV (download) alone, or get the suite of Beyond Media, BeyondTV and the Firefly remote, for $99.99. 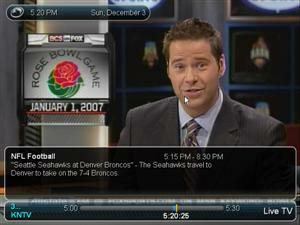 While that's more than SageTV, the cost is much less than a copy of Windows Media Center and it includes the remote. So let's see how it compares, shall we? My experience with BeyondTV has not always been smooth. I tried out a version of it, I believe version 3, which I was not all that impressed with. 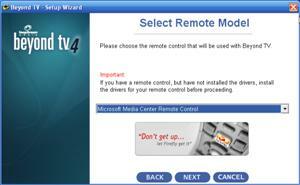 The fact that the MCE Remote was unsupported didn't help matters. But luckily, they've at least changed that! So let's find out what else they've done. I could write a bit about some of the standard features & benefits of BeyondTV, but I think it'd be more accurate if you just read it straight from them. You will hear my take on all the features throughout the review. 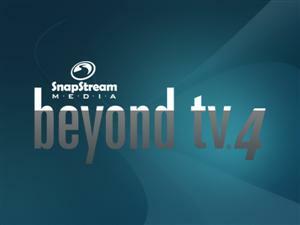 SnapStream Media's Beyond TV enables consumers to record TV shows on the hard drive. 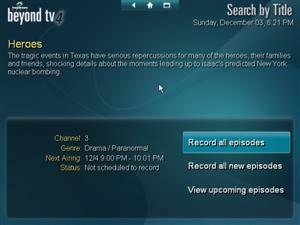 Users can record all, all new or single episodes. Supports OTA HD content. 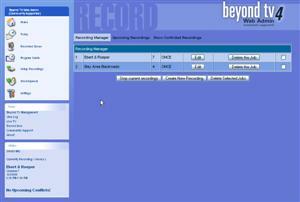 They can search the integrated program guide by title or keywords and schedule recordings up to two weeks in advance. 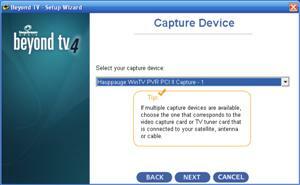 It is also a media server that enables TV recordings to be simultaneously viewed on multiple devices inside the home. 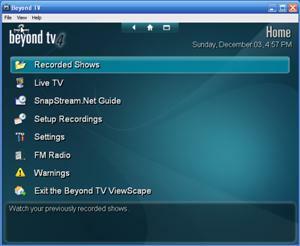 When combined with SnapStream Media’s Beyond TV Link, the Beyond TV experience can be shared with other networked PCs in the home. 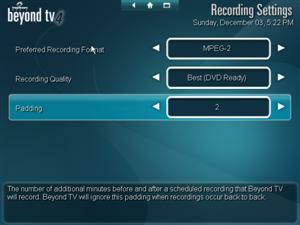 Beyond TV supports multiple tuners so two or more shows can be recorded at the same time. SnapStream Media combines the PCs low-cost, connectivity and power with the popularity of PVRs and televisions to create a solution that delivers on the promise of digital home entertainment. 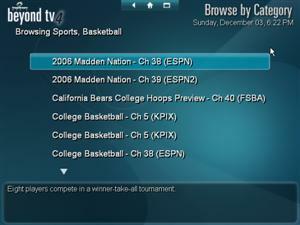 Beyond TV also now supports over-the-air (OTA) high-definition content. With six times the picture sharpness of standard television, HDTV puts you in the middle of the action. 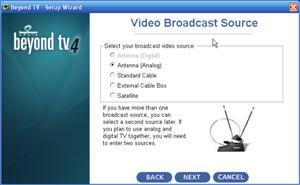 Incredible Dolby Digital (AC-3) surround sound completes the experience for the Beyond TV 4 user capturing OTA HDTV. Once you have experienced the higher clarity, crisp digital sound and life-like pictures of HDTV, you’ll never want to go back to a Standard-Definition Television. Installation is about as straightforward as you would expect in a seasoned software package. The steps all make sense and are very well explained for new users. 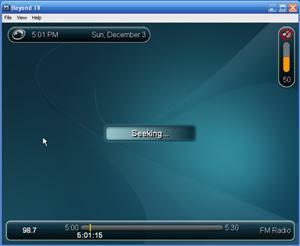 Snapstream remains consistent through the setup (and the program itself) and makes full use of the screen real estate. They clearly define each & every step possible. Having been around forums for a long time, this is greatly appreciated and ensures that the setup goes as smooth as possible. Good intro makes it clear the steps needed to finish. If you're running Windows Media Center, a handy dialog tells you of the background processes & can automatically stop them. VERY Handy for new users who may have no idea how to do so. Select your country. Choose your Videos folder. Select your remote. Of course they prefer you use their Firefly, but luckily the MCE Remote works just fine. Television source. Snapstream.net is the central brain of your setup, and we'll see just how powerful it is. Zip code to find your provider. Make sure you get a signal before continuing. 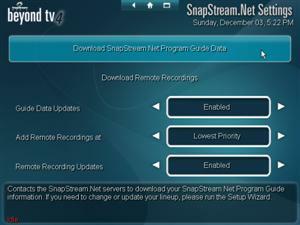 Snapstream makes it very easy to add additional sources–something greatly appreciated having 4 tuners! See how quick that was! 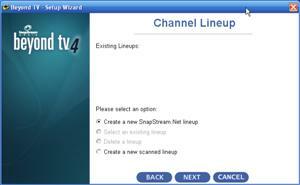 😉 You create your Snapstream account which ties it to your lineup & configuration. You'll see why later. Good warning about Anti-Virus, just make sure your recorded TV folder isn't the same as where you hide your pr0n or you could get bit by a bad virus! And finally, let's play! As you can see, the setup was very simple and didn't take very long (would have been even faster if I didn't HAVE to use 4 tuners!). 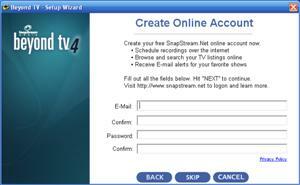 Kudos to Snapstream for making the steps as simple as possible & explaining each one well. This will certainly help on the support. Users will hopefully be able to get up & running on their own without delay. 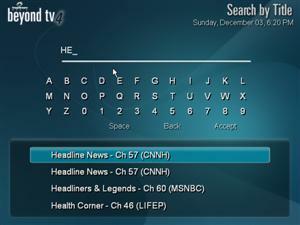 Using BeyondTV is as simple as you could want. 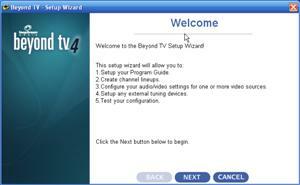 You can configure BeyondTV to automatically run with startup or manually launch it. By default, it runs automatically, which I didn't realize until I tried recording in MCE & was stopped 😛 But that was my fault. Something that was a slight annoyance was the product group for the Firefly mini in my start menu. I know I didn't install it, nor do I have that remote, so just a slight annoyance I could have done without. I told you they realllllly wanted you to use the Firefly. Version 4.5, just to prove it. Startup screen, subtle, simple. I like it. Here's the main menu. Not too shabby, not overly complicated. Clicing on FM Radio takes you here. Simple to use. BeyondTV shutting down…took over 20 seconds! FM Radio is about as simple to use as you can imagine. 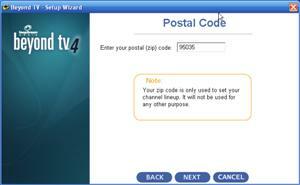 You can manually input a signal, program your favorites, seek for more channels, etc. The interface is very simple & obvious. One of my complaints is that there seems to be an awful lot of wasted space. Probably not a fair statement seeing as this is just a TV software program, but I'm used to the slick home interface from Media Center & Meedio. I suppose most people wouldn't normally shut down their service, but if you did, you might be as surprised as I was to note that the shutdown time took a over 20 seconds! Not a huge amount, but still caught me off guard. 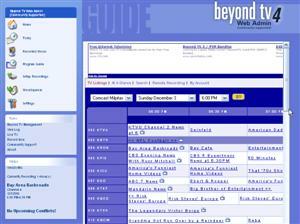 Radio is great, but this is called BeyondTV, not beyondRadio, so let's get down to the bread & butter of the program. 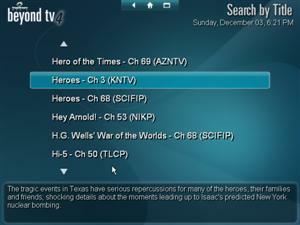 I can describe the television experience with BeyondTV in one word: Excellent! The TV interface is pleasant & using it is equally simple. I wanted more screenshots for you here, but to be honest, there just isn't really that much to show other than the below. TV just works, and works great. But fear not, there are plenty of other screenshots for the other nooks & crannies of the program. Now, I do have one gripe with TV: There's no "More Info." 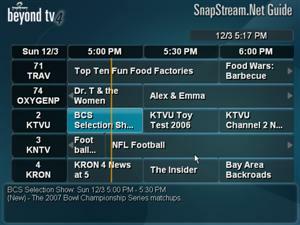 That is, the show information provided by Snapstream's guide is very sparse. If there's a way to get more info on a show, I sure couldn't find it. 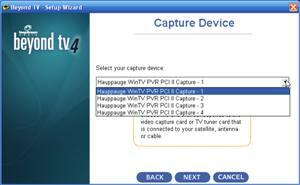 Not a huge deal, but pretty odd considering it's a standard feature for most PVR softwares. Unlike SageTV which allows you to have your TV playing in a thumbnail or as the background, BeyondTV uses it as the background by default. They do a nice job of making it easy still see your guide. The on-screen display when watching a show is informative & yet unobtrusive….and of course….MINI GUIDE! Funny thing about Mini Guide, is I've never used it, but my roommate lives & dies off it, so I know it's important for many people & good to see it included. 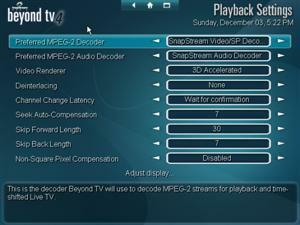 The beauty of programs like BeyondTV & SageTV is the amount of settings that you can adjust. For the average user, it won't matter…but if you were an average user, you wouldn't be reading this! But fear not average users, underneath every single option is a dialog box (looks like the mini guide) which tells you exactly what the setting is. It's all very streamlined & well thought out. One of the settings you'll see below, under ShowSqueeze & SmartSkip, is…well, SmartSkip. Which is…in laymen terms….ABSOLUTELY AWESOME! While there are Plugins for both MCE (DVRMS-Toolbox) & SageTV to do automatic commercial skipping, Snapstream goes one step further & has it automatically integrated into the OS! Gotta hand it to them, quite a brave move considering all the heat ReplayTV got a few years ago. Playback settings…lots to choose from, but the descriptions on the bottom make explanations a LOT easier. Showsqueeze settings based on your needs, and there's that "Smart Skip" I absolutely love! 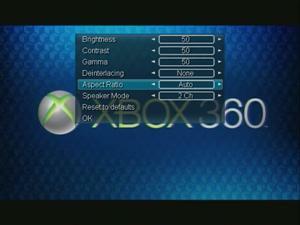 These are some settings from the TV screen, which allow you to configure the quality. It's quite nice to be able to do this on-screen & real-time, I'd love to see this in Media center! There's an option there called "Portable Media Center Option," which is somewhat surprising if only because, to be honest, Portable MCE's have not really taken off. Something that would have made more sense, in my opinion, would have been an option for Ipod Videos, or something, as there are a lot more of those out there. It's a pretty cool feature nonetheless, automatically encoding recordings into a format for PMCE's (which are annoyingly picky! 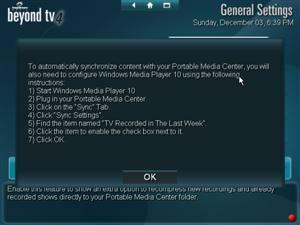 ), and then guide you through the steps to automatically sync it with Windows Media Player. A lot of potential here, which hopefully they don't give up on. Scheduling recordings is pretty deep in BeyondTV, and with this being a TV-Only product, felt it deserved its own section. There are more ways to search than you could really ever need, but better safe than sorry. The main recordings screen is pretty straight forward, showing you…well…your recordings 🙂 Here are the Schedule Recordings options, which as you can see, there are a LOT! Some more search results with again, nice utilization of the screen area, with the box at the bottom used to show the show synopsis. And of course, you can view more information, and then choose when/if you want to record it. 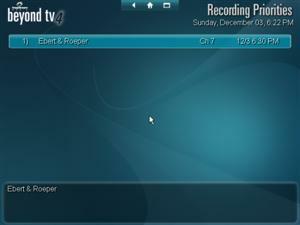 Upcoming recordings screen. Here's how it looks when you pick a category. Different screen for your recorded shows. Again, great utlization of the screen space, and you can also move the arrow to the side to view by category. 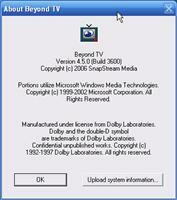 Just wanted to throw in the little icon that appears when BeyondTV is recording. Another nice feature of the recorded shows screen above, if you notice, is the "75 hours left" to let you know how much TV you can record before you have to panic. A very nice feature to prevent your system from having to record over shows. 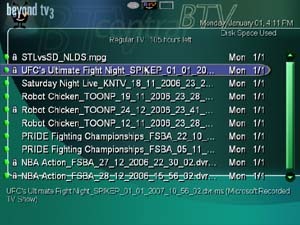 Now for the bread & butter of BeyondTV, the unique feature which has been around for a while, but stays as a feature competitor's haven't been able to duplicate. The Web Admin area is almost as powerful as the full-fledged program (if not more). Basically it brings all the configurations & settings into a 2' Interface, instead of the standard 10'. You simply enter the address of your system in your web browser, with the specified port, and voila (you can also get to it from the Start menu folder for BeyondTV). The beauty, of course, with it being web-browser-able, is that you can also access these settings when you're away from your computer (you'll need to forward the respective port in your firewall). 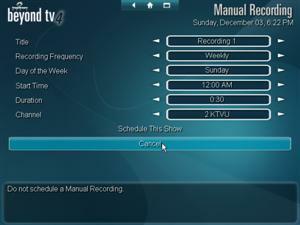 And of course, if you can edit the settings, you sure can schedule recordings from work or wherever as well! 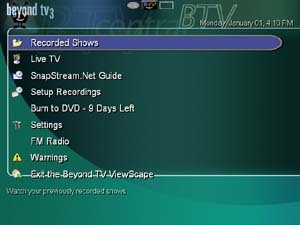 Again, what seems to be the trend with BeyondTV, scheduling recordings over the web is not itself a unique feature, but it IS unique in that it's integrated into the purchased software. Here's the main configurations screen, which as you can see, you can edit basically everything. Here you see some of the Showsqueeze settings, basically the same as you can do from the 10' Interface. 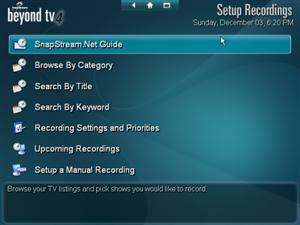 To access the guide settings, you need a Snapstream.net account, which is simple to setup. And here's the guide, where you can record shows from as well. Ok, so you knew I wouldn't just be gushing about the program, so here's one of my gripes. Yes, this web admin is a GREAT feature….but….not much has changed since the last time. The guide looks identical. And while you loyalists will I'm sure say to me (like the SageTV crew), that if it aint broke, don't fix it. But c'mon!! They've clearly got some clever designers there, would it hurt that much to go through the guide & jazz it up a bit? Showsqueeze has gotta be one of the coolest features I would never use. 🙂 But I still love the fact that it is (yes, I'm going to say it again) integrated and not just available through a plug-in. But, if you're unlike me and don't just buy a new 400gb when the first 2 get full, or maybe you like to save your recordings, then ShowSqueeze is pretty impressive. It can retain almost the complete MPEG-2 quality, but compress it to a MUCH smaller file. This is very useful if you plan to keep it or decide to archive it. You can activate Showsqueeze to automatically squeeze every recording in your settings, or you can do it the fun, manual way 🙂 Here you can see the original file, with the original filesize (it was a short clip), and then you just click "ShowSqueeze" to begin. Here it's Squeeeeezing…but where's the progress you ask? The Web Admin not only shows you the progress of your current Squeeze-job, but also all the Pending occurrences. 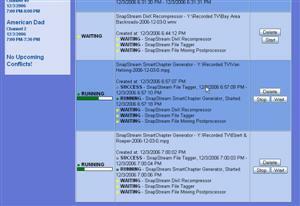 Clicking on ShowSqueeze from the side link pulls up this screen of all the events pending. And you can even filter the listing by series or folder. 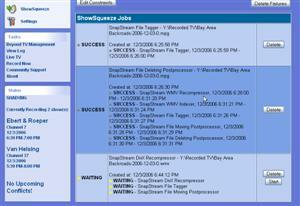 ShowSqueeze job log, see past & future events. And there's the nice little progress meter. And then more options for priorities, and how often it'll run, and if you want to delete it. When done Squeezing, BeyondTV shows you just how much disk space you saved, so you can brag to all your friends. Here's the log with a few more items pending. 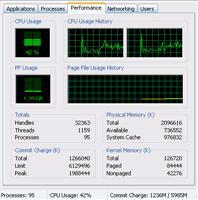 Here's the CPU usage with 1 Showsqueeze job going. And here's how the CPU usage looks like with 2 shows. 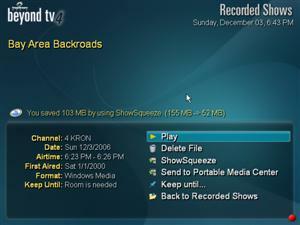 ShowSqueeze is fully integrated into BeyondTV, and it works as smooth as you'd expect it to. 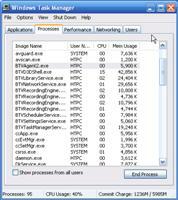 CPU utilization is as expected, since encoding anything is pure CPU. This is where it's really nice to have a dual-core CPU, as I didn't notice the least bit slowdown while the jobs were going. 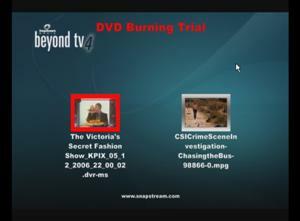 One of the most promoted new features of BeyondTV is the available DVD Burning Plugin option. 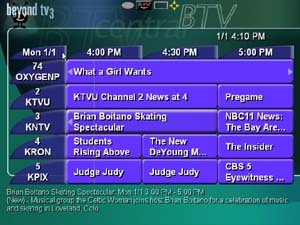 With your purchase of BeyondTV, you get a 21 day (why 21?) Trial of the burning plugin, so figured it'd be worth the time to check it out & see if it's worth the money. Turning it on was as simple as clicking the DVD Burning Trial button on the main menu. Again, Snapstream finds a way to promote their other products, but this one doesn't bother me as much as the remote since many people will end up buying it. Here's the main DVD Burning interface. Very simple but clear. Select your shows & add them. I tested this with a DVR-MS & a BeyondTV recorded show. Nice percentage shown for how much space is left. With 2 shows…can I fit a 3rd? Hmm…70+45+6, damn, more than 100%. But, if you WANTED to squeeze that much on here, BeyondTV gives you the option where it can transcode your shows to make them fit, of course lowering the quality. 9 Steps total to burn, and overall it went pretty fast. Step 9 was the burning & took the longest. I wouldn't recommend doing anything else on your system, or the dialog you see might not be as friendly. And here's my completed DVD. Piece o cake. 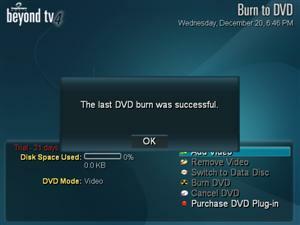 The DVD Burning feature is as simple as I've come to expect things from BeyondTV, they're really getting as close to Microsoft as anyone is for being super simple while still powerful to use. One thing I'd like to see in the future, would be a little more control of the DVD's appearance, either with a skin or titling options or what not. Similar to SageTV, Snapstream also has a very loyal user base which contribute via plugins & skins. 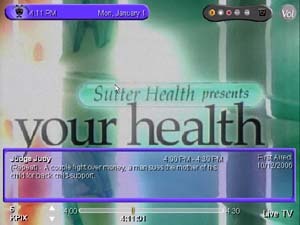 Now, the skinning ability of BeyondTV is not nearly as thorough or customizable as Sage's, but then again, the interface to begin with is much better so I didn't find myself wanting it as much either. The majority of the skins are basically just that, a skin of a new color or theme, but the interface remains the same. 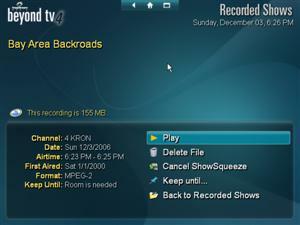 One of the more popular ones is shown below, and rather neat, called the TiVo skin (shown below). Plugins available can do things such as automatically convert files to other formats like XVid, or an IMDB plugin that can add the IMDB rating & information to movies you record, and much much more. I do however have the same complaint regarding plugins & skins which I had for SageTV: Installation is not seemless. Maybe it's a lot of work to develop, but I can't stop remembering how Meedio's plugin system worked & how easy it was to download & install. Plugins require following install instructions, and skins even require removing the original images from the Program Files folder–not a lot of work, but not exactly newb friendly. Check out all the other plugins & skins available over at the Snapstream Community Forums. Snapstream have done a great job of creating a slick, easy to use, and gorgeous interface, along with a more than capable program for any television recording needs. In addition to standard features, they've gone above & beyond with innovative (and controversial) features, which it's competitors fear to include with their software. It's like I've said throughout this review–it's not so much that they do anything unique, but they do it all included with the software. Not to say there's not a good amount of additional plugins available as well, and even skins–like the BTV to Ipod Video plugin that'll maybe someday be included by default. Indeed, the community seems very dedicated, as much as the people behind the software. Now bare in mind, it's not as open as SageTV, so when I say "skin" it's not like SageTV that can change the entire look of the interface…these "skins" are JUST that, different colors/patterns. 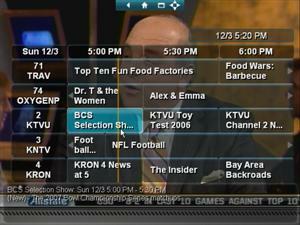 My only gripe about this, is that it's only the TV software. The way it's integrated into my MCE, I'm guessing they are assuming users will already have MCE for music/videos/photos. But still, with Beyond Media in existence, I don't see that making all that much attention as a stand-alone, so why not integrate it & make BeyondTV a full-fledged Media Center application software? Maybe time will change this, but in the meantime, if TV is an important requirement, you could do much worse than have to use BeyondTV. And after a little research, it seems I'm not alone! Check out this Thread at Snapstream's Forums, which lists some teaser features for future versions possibly? 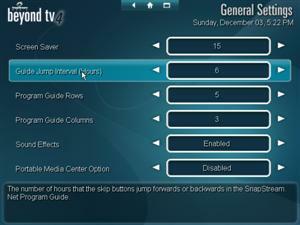 Overall, I give Snapstream's BeyondTV 4.5, a very positive 4 out of 5 Remotes. 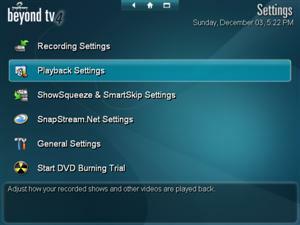 Thanks to Snapstream for providing the copy of BeyondTV for me to test! « Which Movie Download Site Is Best?